Ten months ago, Mark Huff, president of Tri-Star Construction in Tulsa, Oklahoma, started making the switch to natural gas vehicles for his fleet. He estimates that in less than one year, it’s saved his business about 40 percent in fuel costs. As his natural gas fleet is less than a year old, Mark says he’ll have a better idea what the overall savings are once he completes a full tax year. Still, he believes it’s making a difference to his bottom line, and that it could eventually mean big savings for his company and his customers. On October 10, Mark will be sharing his experience in a free Westport webinar, Building Your Business Case for Natural Gas: A Case Study. 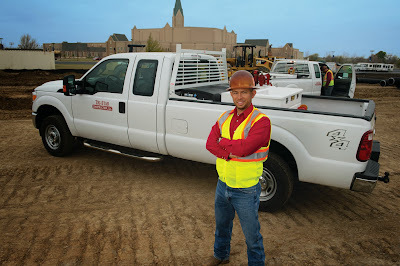 Before switching to natural gas, Mark spent about six months crunching the numbers and assessing if natural gas was the right option for his fleet of Ford F-250s. During the webinar, Mark will outline the process he undertook and the analytics he used in order to make a decision that was best for his business and his customers. Another ongoing benefit Mark has seen – literally – from operating a natural gas fleet, which includes four Westport WiNG™ Power System bi-fuel Ford F-250s, is a reduced cost in maintenance. For instance, he believes his trucks need far fewer oil changes than those running purely on gasoline. If you’re considering the shift to natural gas and would like to hear about a real-life case study, please register for this free webinar here.